It is frequently said that hydrogen bonds (HBs) are enhanced by ionic interactions and in this article we intend to determine the degree at which this reinforcement happens. Considering our interest in the Guanidine(neutral)/Guanidinium(cation) system and its particular nature, all the possible 1:1 complexes with the Chloride(anion)/Hydrochloric acid(neutral) system have been studied at different levels of computation (B3LYP with 6-31+G* and TZVP basis sets; MP2 with 6-31+G*, 6-311++G** and aug-cc-pVDZ basis sets; CBS-QB3 and G3MP2). 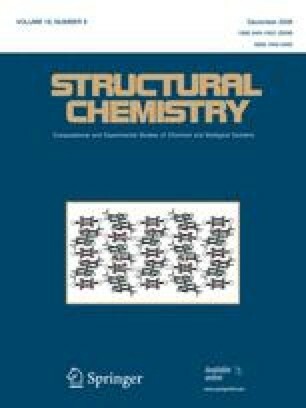 The nature of these interactions established in all the systems and, when possible, at all the levels of computation used in this study, has been analyzed using Atoms in Molecules and Natural Bond Orbital methodologies. By examining the interaction energy, the electron density at the bond critical bonds, the atomic energy, the charge transfer, the orbital energy, and the deformation energy we can conclude that HBs are stronger when the ionic interaction is stronger. Thus, both interactions do not work in an independent manner but one reinforces the other to different degrees depending on the nature of the charges present. Several correlations with the interaction energy have been found and a partition of the contributions of both the HB and ionic forces to the total interactions is proposed. Thanks are given to the IITAC (TCD, Ireland) and the CTI (CSIC, Spain) for allocation of computer time and to the Ministerio de Ciencia y Tecnología (Spain) for financial support (Project No. CTQ2006-14487-C02-01/BQU).